A long, long time ago in this galaxy a blog was created. It was a blog for the people, written by the people. This blog was to be called Wandering in Disney and, surely, great things were to come. Founded on pure ideals, like posting trip reports on Saturdays, Wandering in Disney was to be the King Louie of the interwebs (too cool for its own good?). Alas, those ideas had a shelf life of about two weeks and Trip Report Saturdays came crashing down, much like King Louie’s kingdom. But, much like the monkeys of the world (anyone seen Monkey Kingdom? ), you can only keep us down for so long! Trip Report Saturdays are back, at least temporarily. With all of that nonsense over with, let’s get to my trip report from Disneyland earlier this month. As loyal readers know, Melissa L. and I were in Disneyland for a trip planned around the Disneyland 10K (and the Disneyland Half Marathon Weekend). You can read all about that here, as I won’t go into much detail about the actual race. Planning the trip around the 10K was just half of the story though. 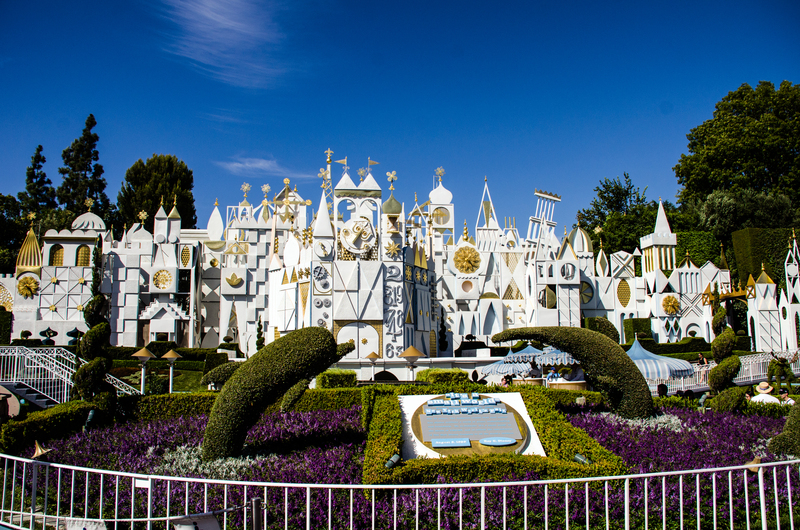 Once I heard the offerings that were to be included for the Disneyland 60th Anniversary (a few of which Cassie and I have reviewed in the last few weeks) I couldn’t get to Disneyland fast enough. I was pretty restless in the weeks leading up to our trip, maybe more than ever before. I often forget that planning a trip for Disneyland is much different than planning one for Disney World. There isn’t as much to prepare for at Disneyland (reservations aren’t needed as early, fastpass planning, etc.) which has its pros and cons. I do enjoy not having my days mapped out as much, but I also enjoy mapping out my days before the trip. I tinker with our fastpass+ and dining reservations like nobody’s business when headed to Disney World. When we go to Disneyland, I miss that but I enjoy the freedom when I actually get there. I guess what I’m trying to say is that I’m glad Disneyland and Disney World are different in this way. It makes the experience much different for Disney Parks veterans. We landed in Anaheim on Tuesday night and checked into our hotel, the Howard Johnson Anaheim Hotel. I’ll have a review of the hotel sometime in the near future. 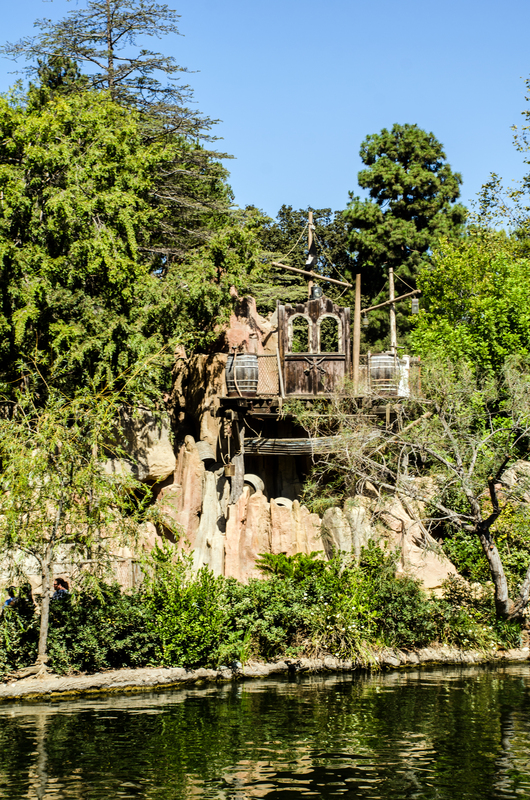 We have typically stayed with relatives on previous trips to Disneyland so it was an exciting change to be so close to the parks (although we did miss our relatives). We were a little over excited when we checked in, so even though it was fairly late we walked over to Downtown Disney for a snack. A snack for Melissa was a few pretzel bites. A snack for me was a whole sandwich from Earl of Sandwich. Vacation had begun. The next morning we woke up a bit before 9, purchased our park tickets at the hotel lobby (yes, I’m still somewhat afraid of buying discounted tickets. Silly, I know), and made the short 15 minute walk to the Disneyland entrance. Park hours for the day were from 10-9 at Disneyland, so we made it for gate opening easily. Last time we were at Disneyland, Indiana Jones and the Temple of the Forbidden Eye was closed so we started there. This wasn’t the brightest move looking back (more on that in the next few installments) but this is Melissa’s favorite attraction so going on it first was fun. We had our pick of attractions that day, as the parks were very empty like Cassie had mentioned in her previous report. We were doing about 3 attractions an hour for the first part of the day, which is incredible when you consider each takes almost 10 minutes and you have to walk to them. 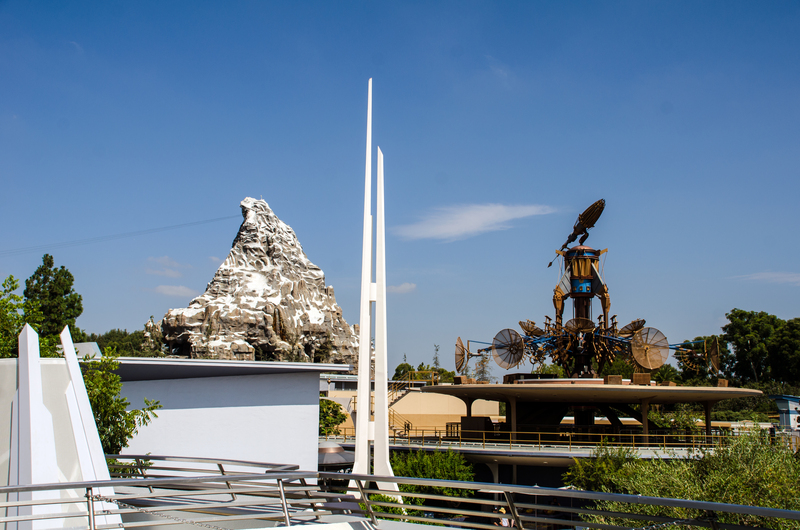 One of the highlights of those early morning attractions was going on the refurbished Matterhorn. While it’s opened to mixed reviews, I think the attraction is slightly better than it was. They made the story a bit more obvious, which I could take or leave but more than anything they just made the whole attraction look better. The outside, specifically, looks as good as I’ve ever seen it. I’m sure there were several changes that had to be done to the exterior of the Matterhorn due to the projections that are on it during Disneyland Forever, and now the entire exterior looks incredible. The waterfalls seem more prevalent, the snow seems to pop more and the mountain even appears more dominant as it towers above the Disneyland skyline. Hopefully, after all of these changes, the next change will be a new, smoother track system. 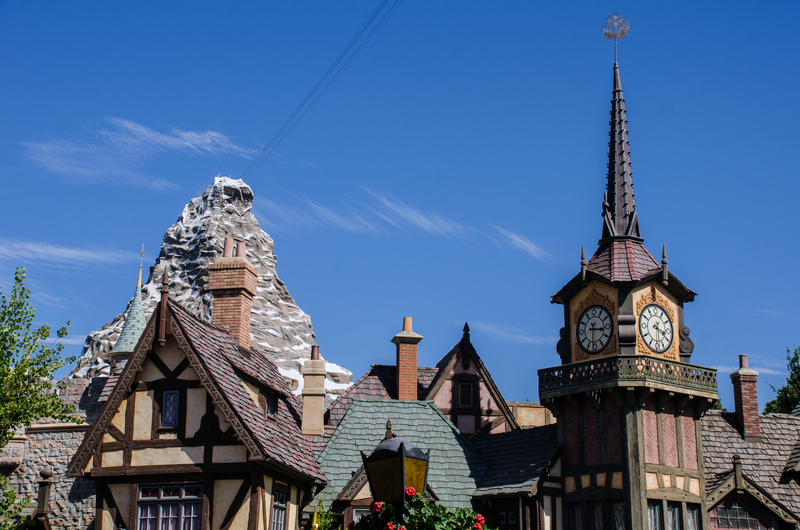 Going on the Matterhorn still hurts, but it’s more than worth it to ride this classic. Still, that was the only time we rode this all week (to be fair, lines were much longer over the weekend and we aren’t much for waiting in those). Since the park opened late in the morning, it was time for lunch pretty quickly. After our jaunt from E-ticket to E-ticket attractions and Melissa stopping quickly in a few stores, we ended up at the Little Red Wagon with Corn Dogs for lunch. We ordered, got our corn dogs and enjoyed them inside of the Plaza Inn next door. I don’t know if that’s frowned upon, but no one told us not to and we were pleased with the air-conditioning! It was a very enjoyable lunch that is basically a Disneyland rite of passage. 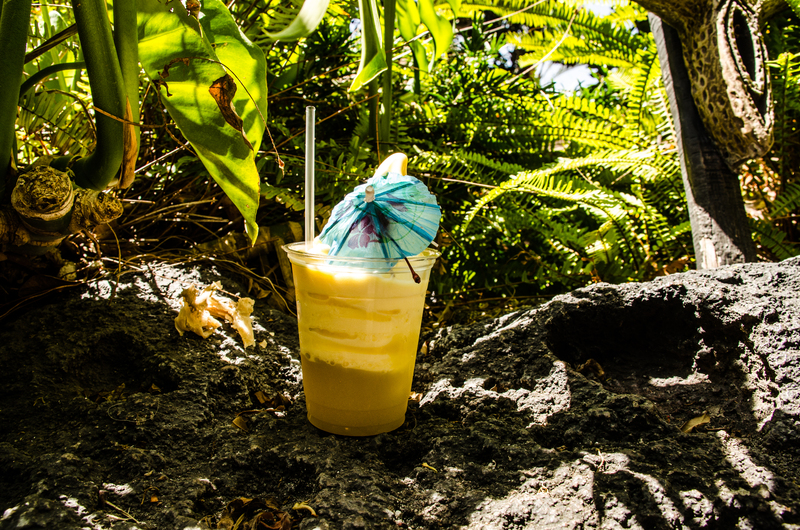 What better way to top off a lunch than with a Dole Whip float? There isn’t a better option. It wasn’t even 1 PM yet and we had two iconic foods out-of-the-way. Not a bad pace, but not great either. We enjoyed our Dole Whips inside of the Tiki Room. I love the longer version of this show, compared to Magic Kingdom’s. Although the difference is small, this one feels more complete. We were lucky to have very mild weather during our trip, but it was still nice to be inside of air-conditioning while watching a Disneyland original. The afternoon was spent doing a few more of the big attractions. Splash Mountain, as always, was great. 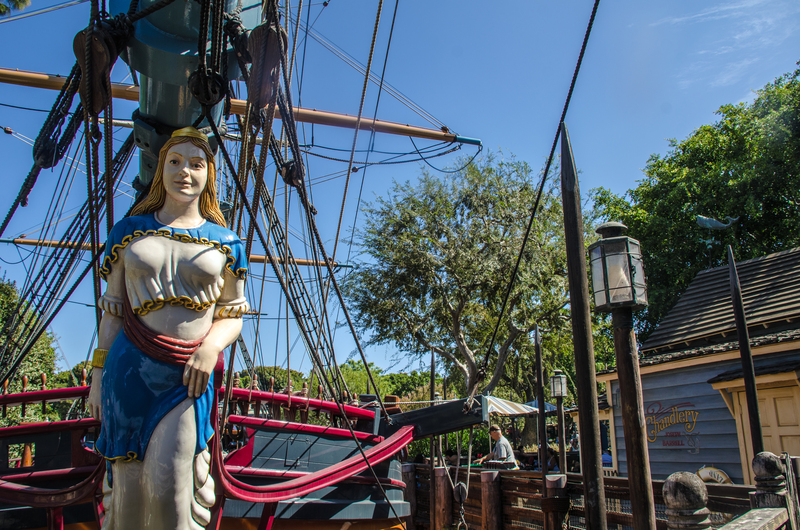 Pirates of the Caribbean was in great shape with all of the effects working during our ride that day. The same goes for Big Thunder Mountain, which is slowly creeping up my favorite attraction of all-time list. I can’t rave about the simple changes they made to this attraction, a few years ago, enough. They enhance the ride experience unlike any other simple change to an attraction I’ve been on. I have no idea why they haven’t added these changes to Magic Kingdom, but it needs to happen pronto. On my list of things to do this trip was to spend a little bit more time around the Hungry Bear Restaurant area. We didn’t end up eating here but we definitely completed our mission. Every time we were in that area, we spent a few extra minutes sitting on the deck of the restaurant or exploring the walkable areas around it. I’m drawn to the water, and being along the river is just extremely appealing to me. I find it cooler and more beautiful than other areas (not to say that other areas aren’t beautiful). That afternoon we happened upon a little spot that we had crossed by many times before. The Harbour Gallery, which is known for soups and baked potatoes, has a beautiful seating area that just kind of keeps going. We stopped for some free ice water here and then just followed the short path around the backside of the counter-service restaurant. The deck there was right along the water and it served as a dock for the Sailing Ship Columbia. I can only assume the Harbour Gallery and the Fowler’s Inn next door were to give sailors a place to eat and rest their heads before the Columbia hit the open seas again. Disneyland back stories fascinate me and stumbling upon one that you hadn’t thought of or heard before is somehow extra rewarding. Melissa and I have this, somewhat, unwritten rule where we go on all of the E-ticket attractions she wants to. After that we slow down and enjoy the little things, which is what I like to do because they tell me to do that in the American classic, Zombieland. If you take the rules from Zombieland, your life will get better. For the most part. Usually the first day or two in the parks we go at a pretty quick pace so that we have time to slow down later on in our trip. Well, with lines being short through the entire day (except for Peter Pan’s Flight) we had completed most of the attractions on her list already. With that in mind, it was time for some wandering in Disney. Heyo! Did you catch that? I come from the Tom Bricker School of Goat Galaxy Lovers (it sounds worse than it really is) so next on our docket was a bittersweet trip to see the goats of Disneyland. 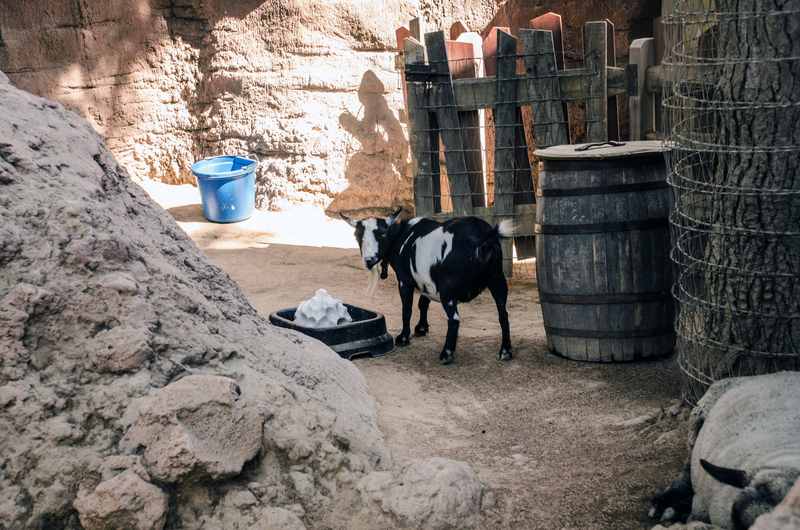 Yes, Disneyland has goats. You can go pet them. Why would you choose to go pet goats when instead you can ride attractions that cost millions of dollars to build? Long answer short, because goats hold a special key to your heart that will bring you true happiness, if only for a split second. You’d hate to see the long answer. Goat Galaxy is one of a few parts of Big Thunder Ranch (there is also cows, sheep, some very kind and informative cast members and Woody sometimes has meet & greets back here), and easily the best. Goats wander around in their fairly large petting zoo while park guests roam with them. While the last few paragraphs have been dripping in sarcasm, I do really love this section of the park. 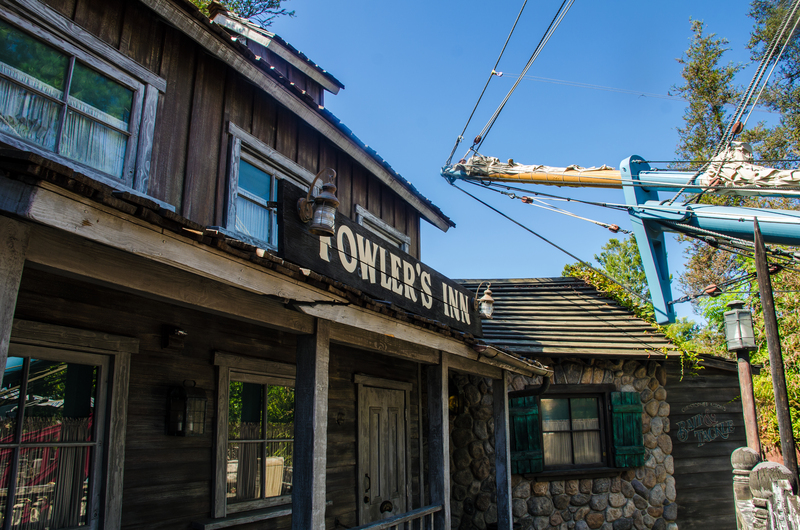 There is something incredibly charming about this area that most other theme parks don’t have. 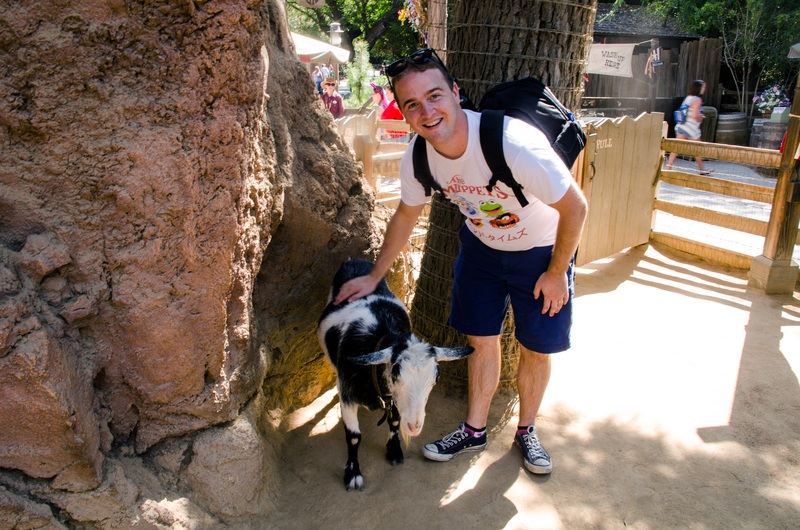 While Disneyland may take you out of reality, petting some goats may make you feel like a kid again. That’s all part of the theme park experience. That’s also enough of the sappy part of this post. It was a bittersweet trip to see our goat friends because when we come back they will almost surely not be there. Star Wars is coming in to the section Goat Galaxy currently holds down and while the change makes a lot of sense and is probably for the best, it will be sad to lose this area of the park that isn’t tied to a franchise and has a quiet, calming feel to it. So long, goat friends. This won’t be a problem for you, but stay cool. May we meet again. I like doing trip reports because it is a pretty free writing style. I don’t like trip reports because I’m afraid that I will scare any of our current or potential readers away once they realize how weird I am. Sorry Cassie, Melissas, Kelsee and Leslie. It’s my fault the blog hasn’t hit it big yet. We stopped for a snack in Fantasyland and did a few attractions there. All of Fantasyland seemed well taken care of and didn’t look worn down at all. 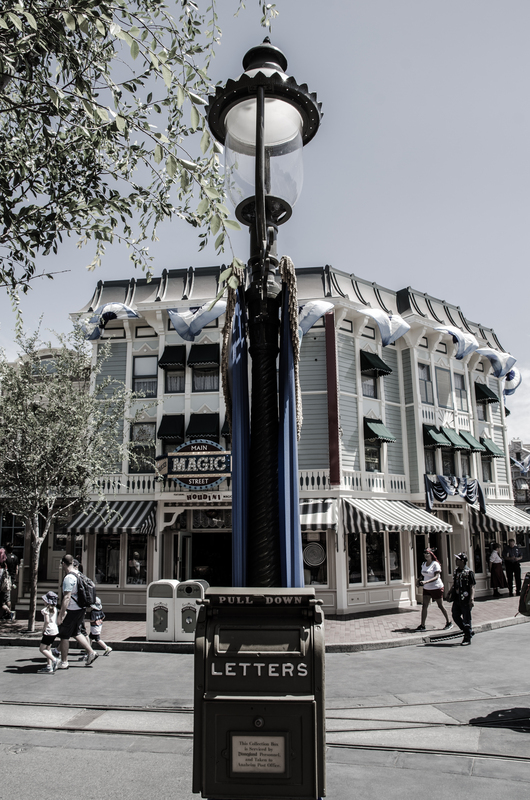 If I had more time at Disneyland I would have liked to do a photo series on just how clean and impressive all of the buildings, facades and rock-work (among other things) looked. I knew that those in charge were going to do some work before the 60th anniversary began to get the parks to look as if they were in tip-top shape, I guess I just never imagined how good ‘tip-top shape’ would look. There’s no two ways around it, Disneyland looks incredible right now. It’s something I will repeat over and over again in the next few installments of the trip report. I was completely blown away. If you were on the fence about going in the next couple of months or waiting for a couple of years, go now. 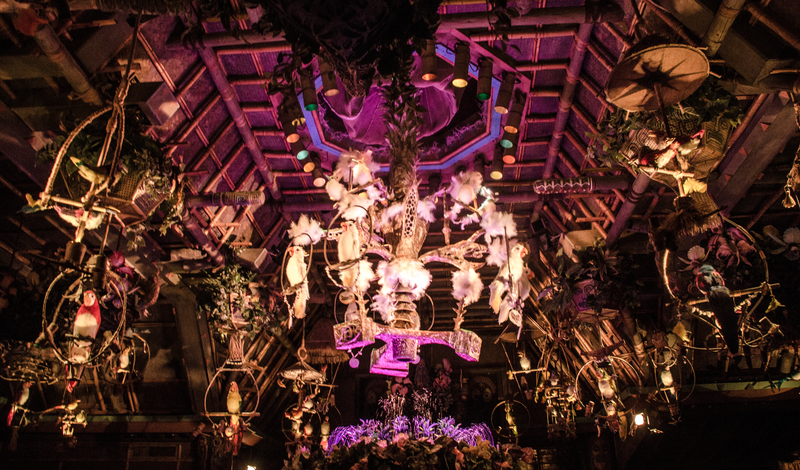 Everything looks incredible and that, in my opinion, really does enhance guests experience whether they know it or not. I told myself that this post would end after the first day or at 2,000 words. 2,000 words has come and gone and we haven’t even made it to dinner. 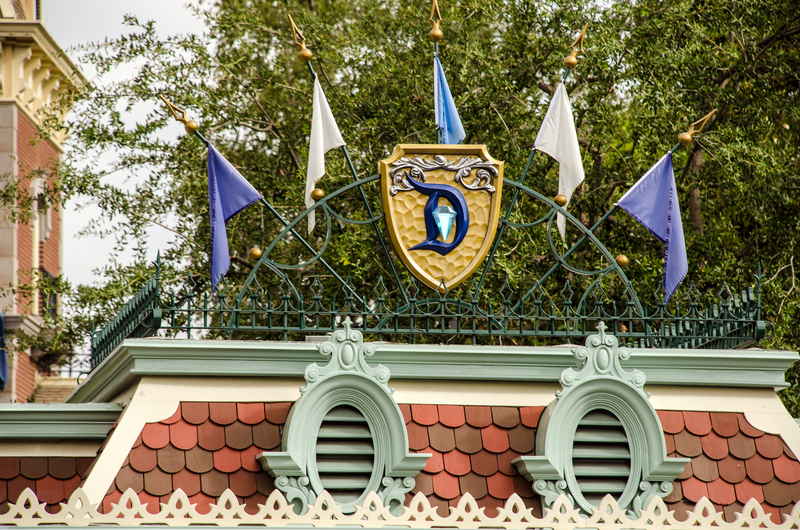 So, next week we’ll pick up with a stroll through ToonTown and a flag retreat. Thank you for reading! I’m also hoping Matterhorn gets a bit smoother in the future. Also, I love eating at the Hungry Bear restaurant – I like to get a cheeseburger, then ask for barbecue sauce when you pick up the food (bbq cheeseburger, just like that). 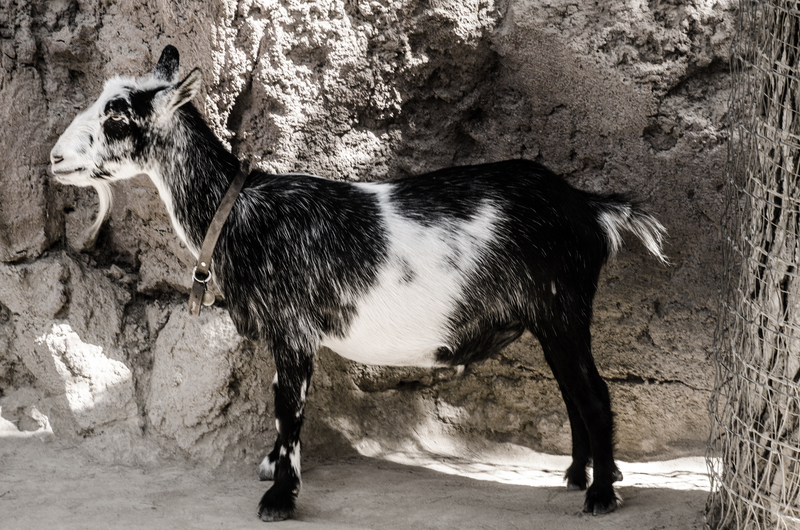 Just went to Disneyland recently and saw the little goats – so adorable!